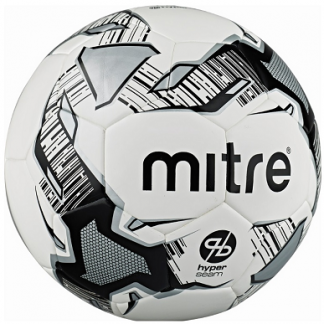 Browse our range of quality soccer balls / footballs. 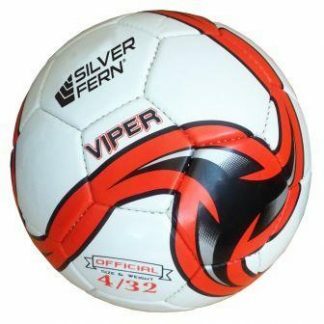 From school PVC balls to FIFA quality soccer balls. 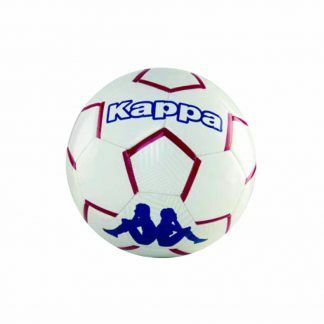 Our range of soccer balls cater to all requirements. We have size three, four and five balls. See below for the age groups that use the different sized balls in New Zealand. 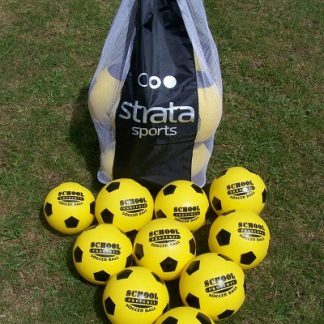 Ball Sizes – Size 3 = under 8 year olds, size 4 = 8-12 year olds, size 5 = 13 years -adults. When selecting a soccer ball you need to not only consider the size of the ball but also the quality. For training purposes a slightly cheaper ball is all that is required. You will need 10-15 of these per team so price can become an issue. 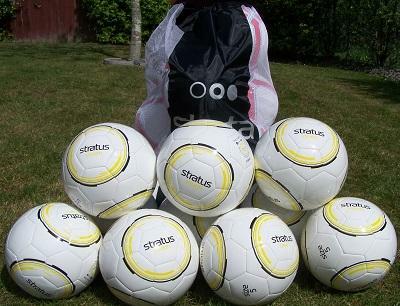 The training balls still need to be of good quality. They need to last one or two seasons. 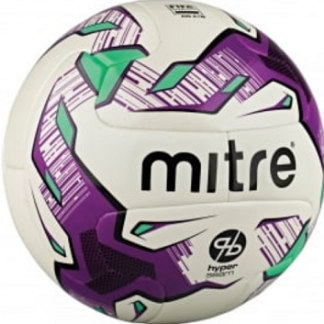 Training balls do not need to be an expensive match ball however. 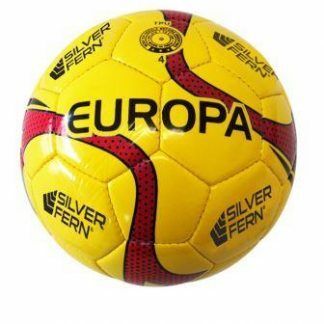 For training you need a ball that will stand repeated use and retain its pressure and shape over time. Match soccer balls are only needed for match day. 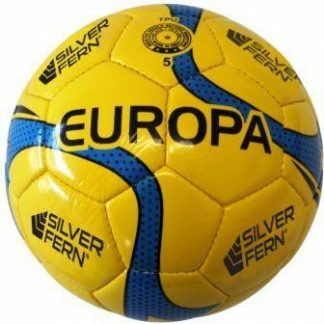 It is worth spending more on this ball as you will only need one or two balls for a team. Whenever possible ensure that all the soccer balls you use are official size and weight. Below are the official weights and dimensions for each size of soccer ball. Size 5 = ages 13 and up, 69-71 cm, 410-450 grams; size 4 = ages 8-12, 63-66 cm, 350-390 grams; size 3 = ages 8 and under, 58-60 cm, 300-320 grams. 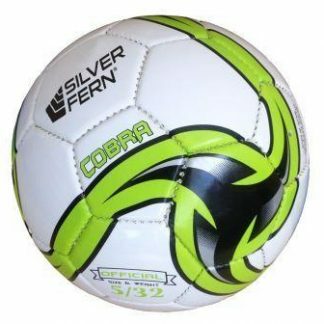 Make sure to check the pressure of the soccer ball from time to time. The balls will slowly lose pressure. The required pressure for each ball can differ. This pressure should be marked on the ball, often near the valve of the ball. 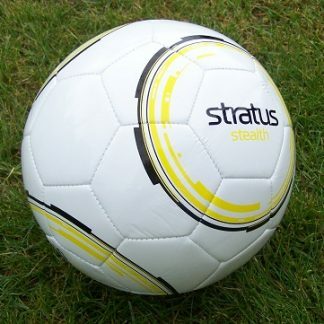 Quality match balls will lose pressure faster than training balls as they are designed to do this. 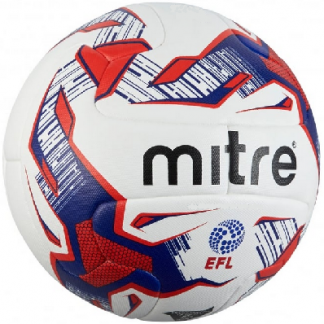 Training balls often have a pressure of approximately 8 psi and quality match balls are generally between 9-12 psi. Always check this on the ball before inflating.